Bright and Breezy Crafts: Wine, anyone? 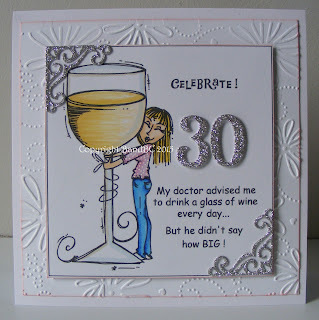 I made this card for a friend who is going to be 30 in a few weeks. I think I could make cards with this image, many times over for many friends of mine! lol..
printed off the image and sentiment. I coloured the image with my promarkers and added a diecut 30 and diecut corners. I raised it all on 3d foam and popped it on a background I embossed. I just love this Bugaboo image and sentiment! Too funny :) And a very pretty embossed design too. Thanks for joining us at Kitty Bee Designs! wow the embossing is just perfect for this! love the details and the glitter of the silver! Thanks for joining the monthly challenge here at SLS Lines challenge. Hope you will join us next time DT Crafting Vicky. I just love your card. Such a great image and sentiment and you've managed to showcase is so well. Thanks for playing along with us this week at Inspiration Destination Challenge. Hope to see you again soon. Good luck. 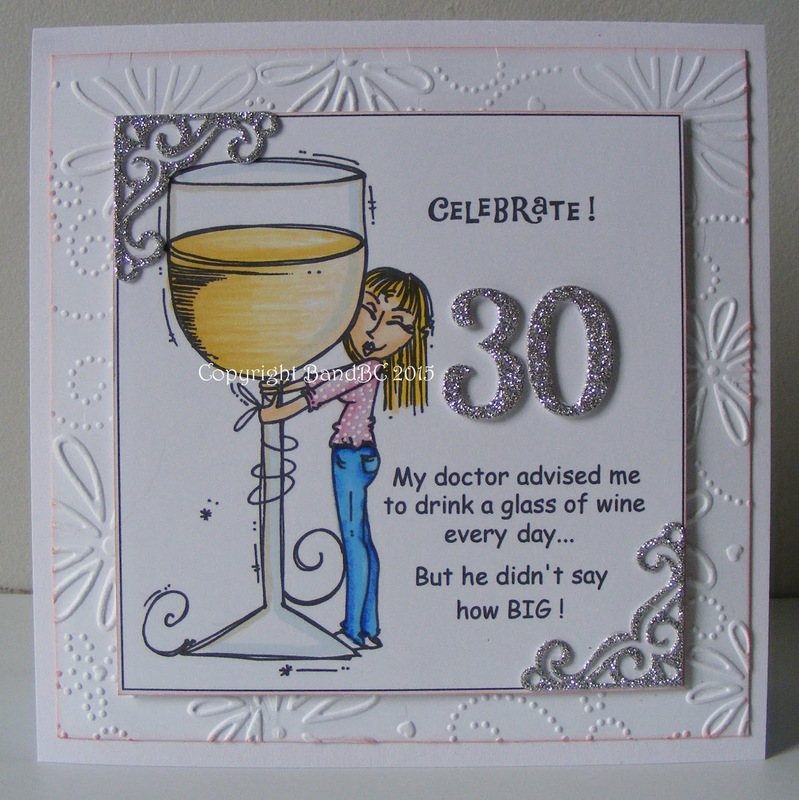 Really cute funny bd card. so glad you joined us at Inspiration Destination. A fabulous card, such a fun image. Thank you for joining us at Paper Creator for our June Challenge.